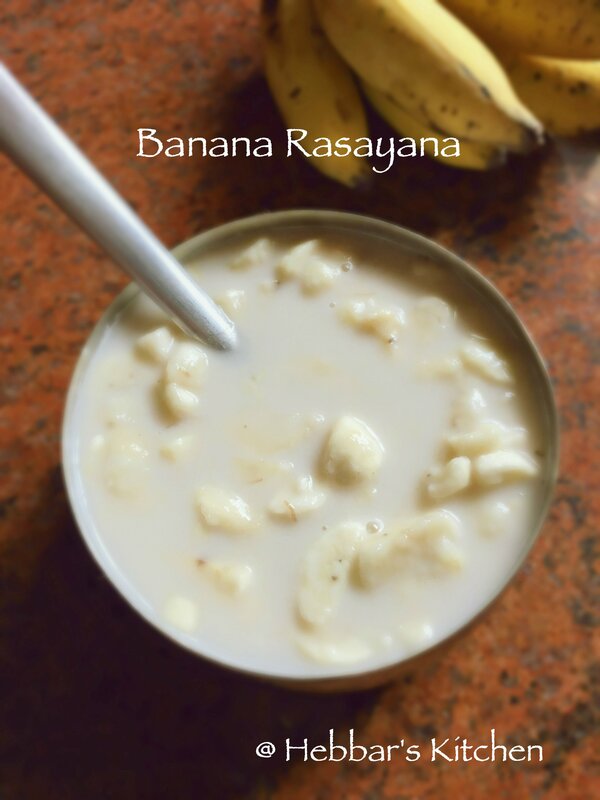 banana rasayana recipe | balehannu rasayana recipe with step by step photo recipe. banana rasayana also known as seehikarne or seehikarane, is one of the authentic desert recipe coming directly from udupi or mangalore region. 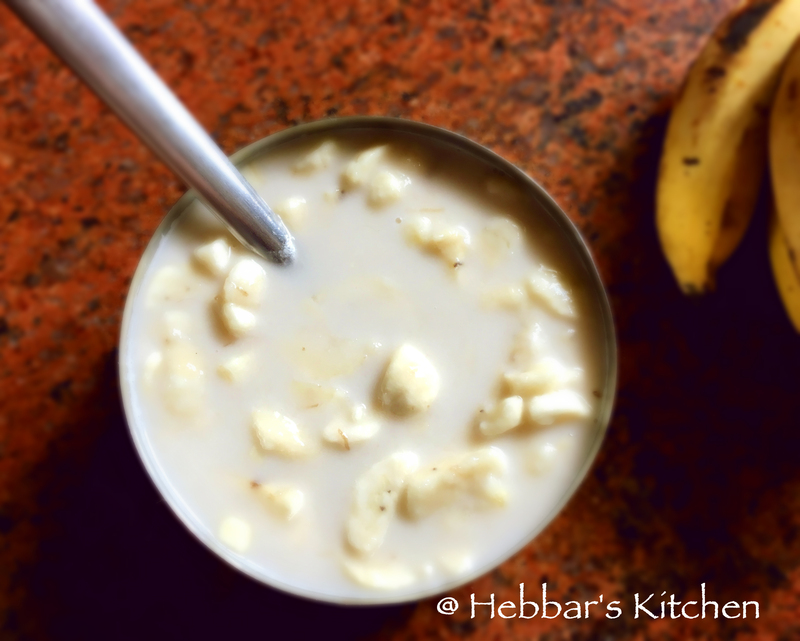 this is a simple recipe prepared from diced banana with coconut milk and jaggery. 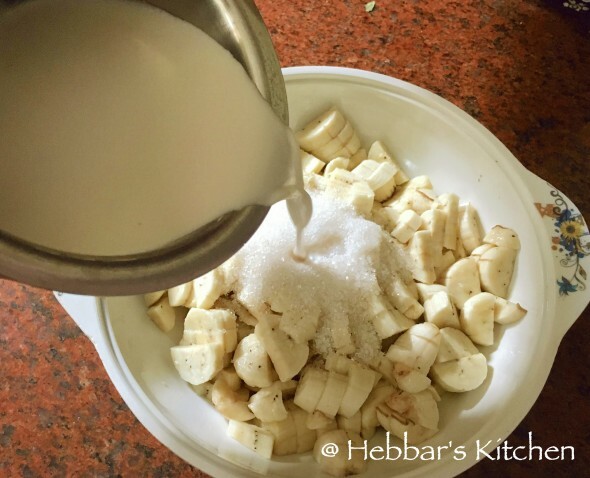 this desert recipe is prepared in most of the south canara houses during special occasions like nagara panchami or ganesh chaturthi. 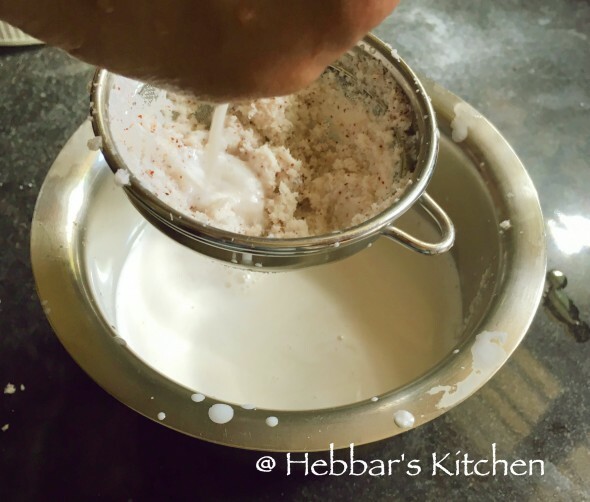 this desert recipe is my mother in laws favourite rasayana recipe. she prepares it frequently and she even serves this rasayana with pooris, neer dose and even with plain dosa. i personally like this as drink rather side dish. i always prefer chutney or sambar for my breakfast recipes. 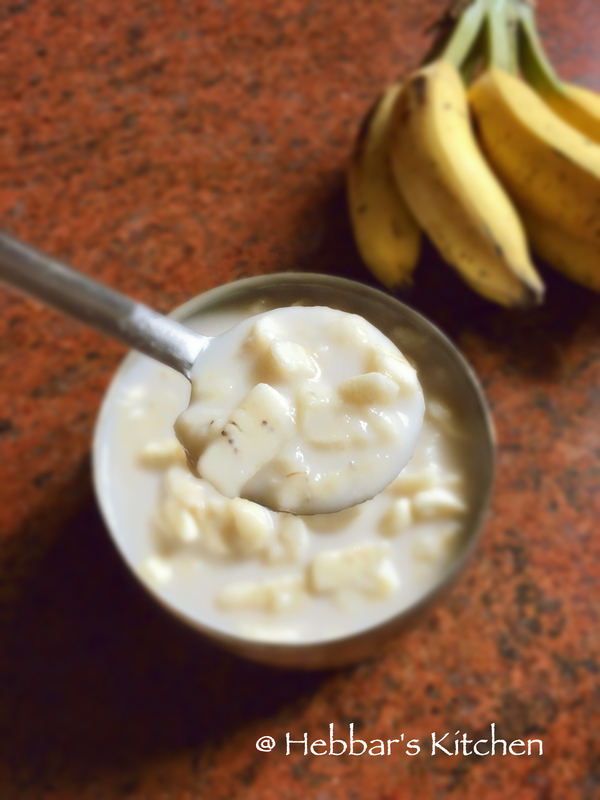 even mango rasayana is served as side dish in many houses of south canara. 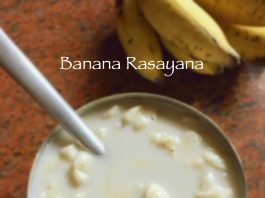 banana rasayana is also an ideal thirst quencher during summer. most of the time, whenever you visit your family or friends place, you will be often welcomed with this drink. the main reason being it is prepared with sugar which contains lot glucose. plus it contains coconut milk which is ideal thirst quenching catalyst. 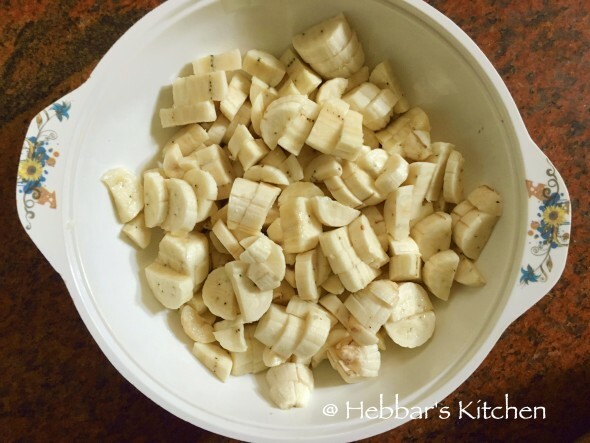 furthermore, banana which is good source of vitamin c.
check my other beverages recipe like jal jeera recipe, kokam drink or soup, or masala chai recipe. also have look at my soup collections like tomato soup recipe or beetroot soup recipe. some other healthy recipes like oats upma recipe, oats khichdi recipe, oats idli recipe and oats dosa recipe. 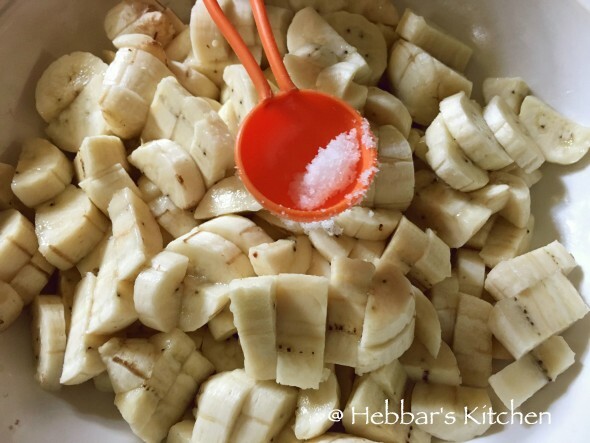 finely chop the bananas into small pieces and keep it aside. 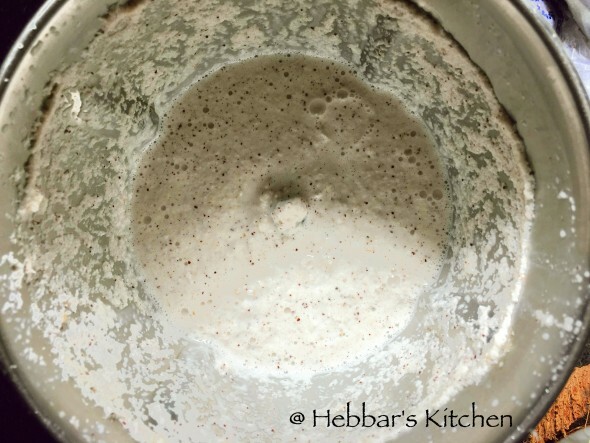 take 1 cup of grated coconut and grind it to smooth paste with 1/4th cup of water. add 3-4 cardamom extract before grinding. squeeze and extract the coconut milk from the grated coconut. 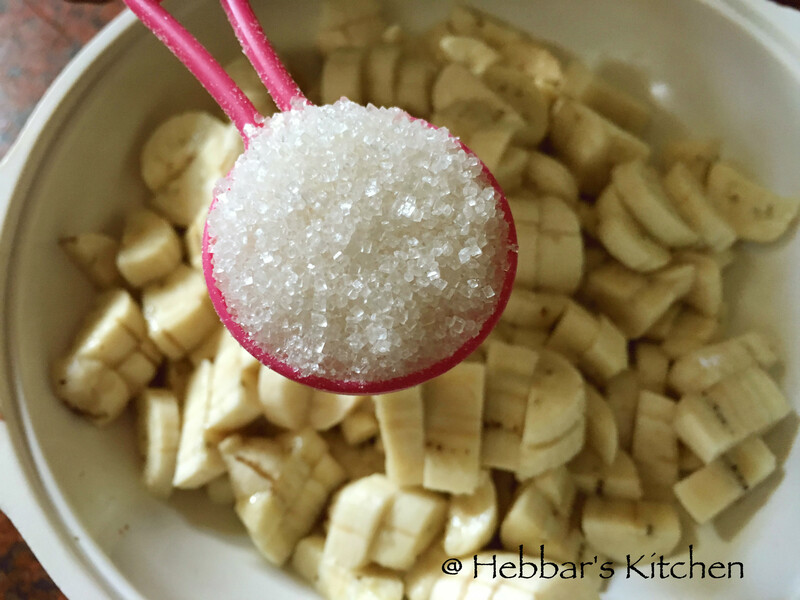 add 4- 5 tbsp of sugar and a pinch of salt to the chopped banana and mix it well. add the extracted coconut milk to the chopped bananas and mix well. banana rasayana is ready. serve it with neer dosa, plain dosa, tuppa dosa and pooris. i have prepared the coconut milk freshly, however store brought coconut milk can also be used. if you do not like coconut milk, replace it with cows milk. you can replace banana with mango, or even apple. Thank you so much. Banana Rasayana was yummy. My kids enjoyed it thoroughly. God bless you. you put in a lot of effort to bring these recipes to one place and make it easy for ppl like me to recreate. Thank you for all your effort. Keep up the good work and hope to see many more new recipes. Appreciate all your effort.